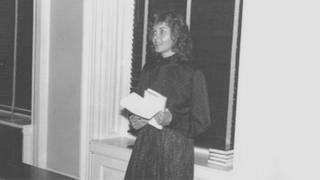 I first used the phrase "glass ceiling" in 1978 during a panel discussion about women's aspirations. As I listened, I noted how the (female) panellists focused on the deficiencies in women's socialisation, the self-deprecating ways in which women behaved, and the poor self-image that many women allegedly carried. It was a struggle to sit quietly and listen to the criticisms. True, women did seem unable to climb the career ladder beyond the lowest rung of middle management, but I argued that the "invisible glass ceiling" - the barriers to advancement that were cultural not personal - was doing the bulk of the damage to women's career aspirations and opportunities. I was an experienced HR professional in the telecoms industry, and yet was often told by my male boss to "smile more". He made a point of commenting on my appearance at literally every meeting. On the occasions when there was more than one woman manager at a meeting, there were usually comments made if the two sat together. On several occasions, I was told that the advancement of women within middle management was "degrading the importance" of these positions. Once I was told that despite my better performance record, a promotion I was hoping for was going to a male peer. The reason given was that he was a "family man" - that he was the main breadwinner and so needed the money more. During the 1970s and into the 1980s, there were no laws in place in the US to protect women from workplace harassment or assault. There was also no awareness in organisations about the severity of the problem and zero interest in hearing about or resolving it. On 24 May 2018, the "glass ceiling" will be 40 years old. What has changed for working women in that time? The sheer number of female managers has increased dramatically across most industries and yet the metaphor continues to symbolise an enduring barrier to gender equality - one that has been normalised in many organisations where there is now a sense of complacency about the lack of women at the top. I advise clients like the US military and Fortune 500 corporations to encourage employees - both men and women - to step up when they observe things happening in the workplace that are unfair, disrespectful or exclusionary. It means saying to employees: "You have a part to play in creating a culture of respect for everyone. You can't be a bystander in this effort. Instead, you have to take action." Rather than accept the glass ceiling as inevitable, it is time for institutions to acknowledge that the embedded biases in their cultures predisposing many men for career success while diminishing the strengths, styles and capabilities of the majority of talented women must be eradicated. I am referring to the biases that assume men are "born leaders", that working mothers are not committed to their careers, that women are too emotional, that sexual harassment is not a problem, and that there is no room on the executive floor for people who speak softly, have a high degree of emotional intelligence and favour participative leadership over autocratic management. Back in 1978, a common lament in organisations was that women "lacked the credentials and experience" required to lead effectively. Today, that criticism can no longer be used to justify their slow climb to the top. Over the past four decades women have closed the education gap, moved into non-traditional jobs at remarkably high rates, simultaneously managed families and challenging careers, and demonstrated their ability to innovate, inspire and manage effectively in every sector of the global workplace. We need only remove the blinkers to appreciate and leverage all that they have to offer.